B&W image of several circuit boards. 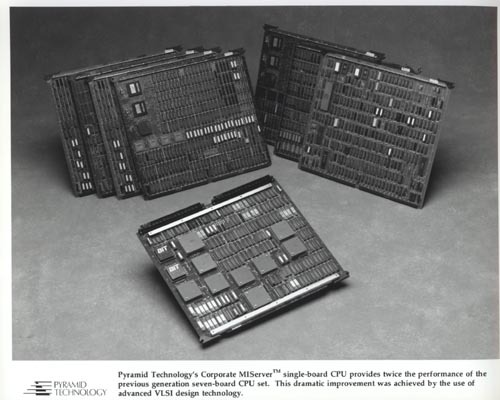 Metadata bottom margin: " Pyramid Technology (logo) Pyramid Technology's Corporate MIServer (tm) single-board CPU provides twice the performance of the previous generation seven-board CUP set. This dramatic improvement was achieved by the use of advanced VSLI design technology."